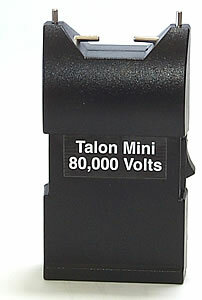 Our famous Talon Mini's main attribute is its size...only 4 inches tall. But, it is a powerful 80,000 volts. 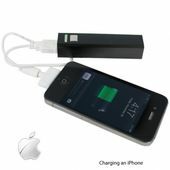 Stun guns use high voltage and low amperage to temporarily disable an attacker for several minutes. 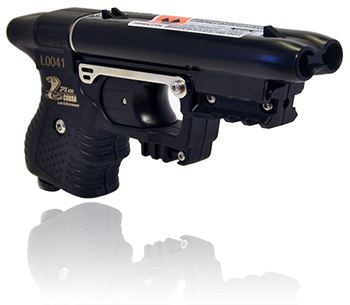 The stun gun does not rely on pain for results. The energy stored in the gun is dumped into the attackers muscles causing them to do a great deal of work rapidly. This rapid work cycle instantly depletes the attackers blood sugar by converting it to lactic acid. In short, he is unable to produce energy for his muscles, and his body is unable to function properly. The stun gun also interrupts the tiny neurological impulses that control and direct voluntary muscle movement. When the attackers neuromuscular system is overwhelmed and controlled by the stun gun he loses his balance. Should the attacker be touching you, the current will NOT pass to your body!